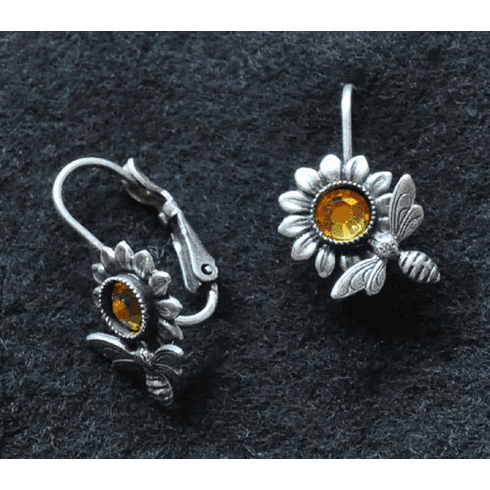 Queen Bee Earrings - A true expression of nature, these earrings are lovely to behold, the bee lit on the sunflower appearing to draw nectar from the center, a beautiful, faceted Swarovski Crystal. The 1/2" eurowire has a nifty spring clip closure over the wire make them easy to put on and comfortable to wear, you will find yourself wearing them often. Made in the USA with American lead free pewter. Gift Boxed. Measures 5/8"